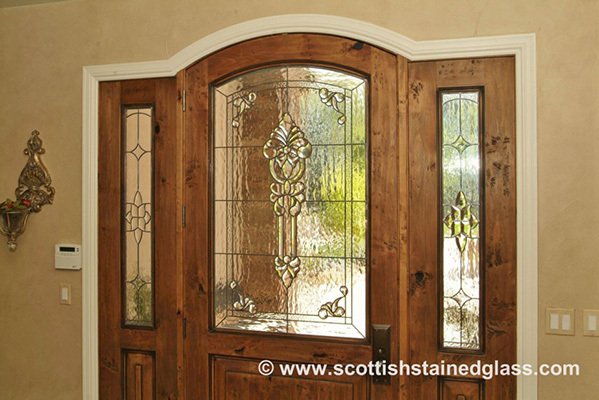 Stained glass entryways are one of the most popular applications Denver Stained Glass does. 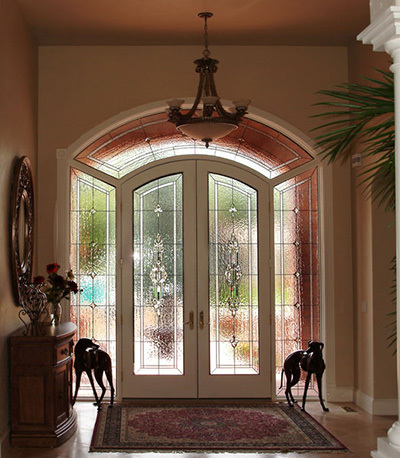 Which is not surprising since textured glass sidelights and front door create a mood of invitation in entryways and give a lovely lasting impression. There truly is no substitute for the style these windows give to a home. Denver is full of beautiful homes, that lend themselves perfectly to this type of home improvement. As the leading stained glass provider in the nation, our talented team knows how to work with this delicate art to create amazing pieces for each and every style of home. 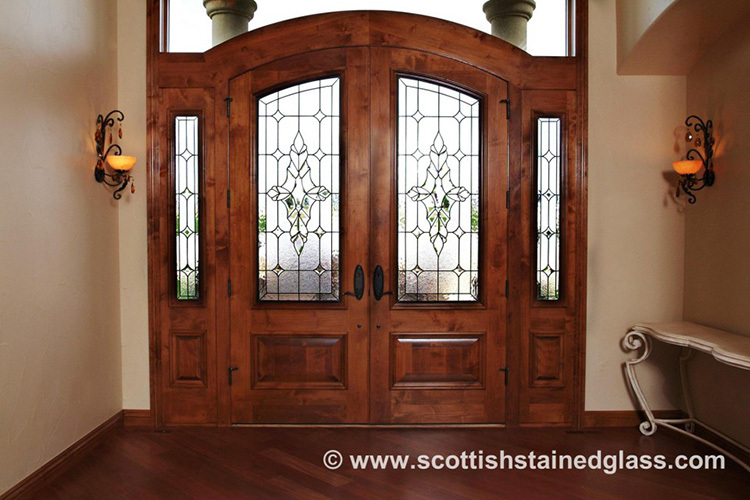 Whether you are looking to update the look of your entryway with something modern or simply want to add that special personal touch to your home, Denver Stained Glass will help you achieve your decor goals. 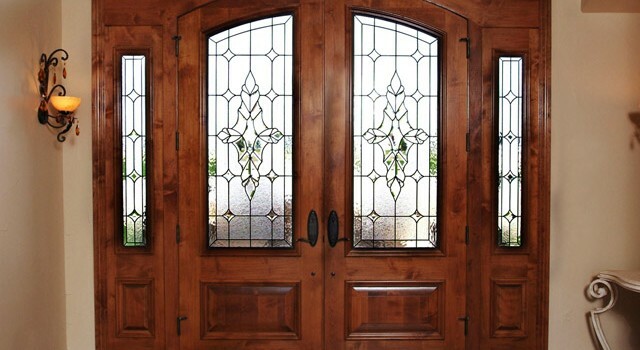 Privacy: Stained and leaded entryway sidelights and transoms are of course beautiful, but also have strong functional value as well. They provide your home with natural light while still adding much-needed privacy to your front door area. Curb Appeal: When seen from the street stained glass entryway windows, sidelights and transoms add a nice pop of color to your home and greatly increase curb appeal. They help your house stand out and also show your personal style. 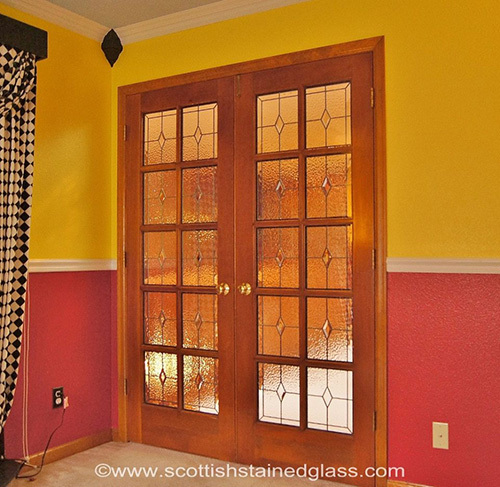 Ambiance: Stained and leaded glass have a lovely effect on the inside of your house. It gives your entryway elegant ambiance. Sunlight is transformed into softly filtered ambiance with delicate prismatic displays- a welcome addition indeed! Stained glass has a high overall ROI and when you eventually sell, will help your home move quickly and at a higher price. All of the benefits above are part of the reasons stained glass eventually pays for itself and then some. 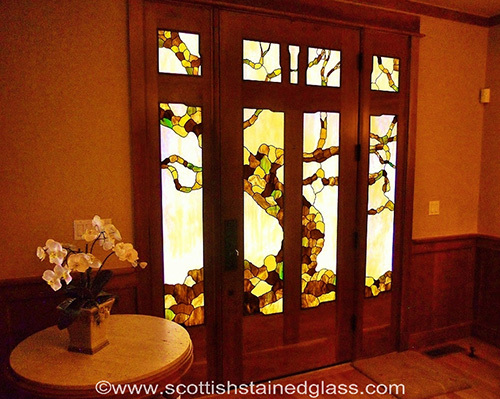 But in order to get the best ROI and lasting glass, hiring a seasoned stained glass expert is a must. 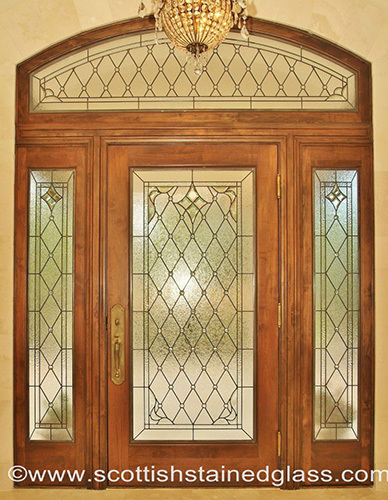 At Denver Stained Glass our experienced team has been building beautiful leaded glass entryways in Denver for over 25 years. You can count on our experienced and reliable team to create a lasting product for your home. We use only the best local craftsmen and installers so your windows are beautiful and precise fit to your home’s entryway. To find out more about our process and schedule a free in-home consultation, contact us today!